The award-winning ImpossibleTM Burger is now served at nearly 3,000 locations MACAU (30 July 2018) –– Impossible Foods is launching its award-winning, plant-based meat in Macau at one of the world’s hottest entertainment and dining resort complexes. 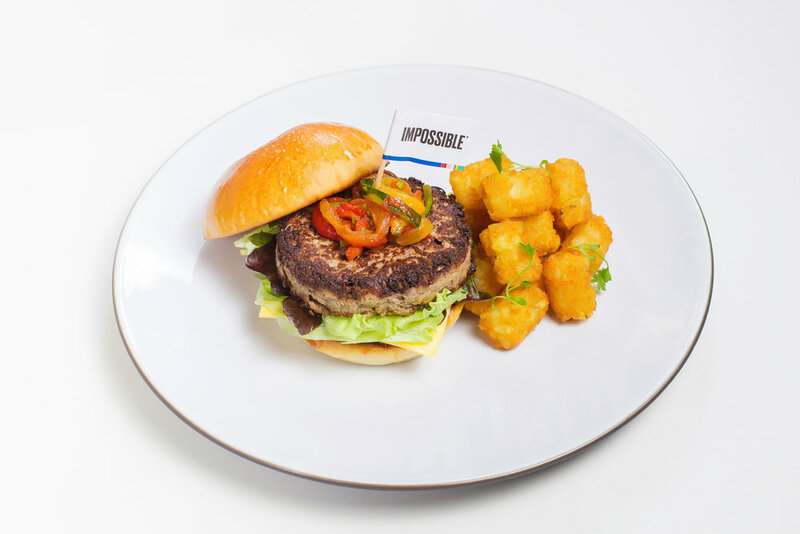 Starting today, Impossible Foods’ flagship product will be available at three popular restaurants at Galaxy Macau, Asia’s premier integrated resort and entertainment hub. Galaxy Macau has some of Asia’s top- ranked restaurants and entertainment venues, as well as more than 3,000 hotel rooms on the glamorous Cotai Strip. In development since 2011, the Impossible Burger debuted in July 2016 at Chef David Chang’s Momofuku Nishi in Manhattan. The Impossible Burger is the only plant-based burger to win a 2017 Tasty Award and a 2018 Fabi Award from the National Restaurant Association. Impossible’s flagship product is made from simple ingredients, including water, wheat protein, potato protein and coconut oil. One special ingredient — heme and is the essential catalyst for all the other flavors when meat is cooked. Heme is an essential molecular — contributes to the characteristic taste of meat building block of life, one of nature’s most ubiquitous molecules. Although it’s found in all living things and in virtually all the food we eat, it’s especially abundant in animal tissues. Impossible scientists discovered that it’s the abundance of heme in animal tissues that makes meat taste like meat. To satisfy the global demand for meat at a fraction of the environmental impact, Impossible Foods developed a far more sustainable, scalable and affordable way to make heme and therefore meat, without the catastrophic environmental impact of livestock. The company genetically engineers and ferments yeast to produce a heme protein naturally found in plants, called soy leghemoglobin. The heme in Impossible products is identical to the essential heme humans have been consuming for hundreds of thousands of years in meat — and while it delivers all the craveable depth of beef, it uses far fewer resources. Impossible Foods makes delicious, wholesome food without slaughterhouses, hormones, antibiotics, cholesterol or artificial flavors. The Impossible Burger uses about 75% less water, generates about 87% fewer greenhouse gases, and requires around 95% less land than conventional ground beef burgers from cows.